This article presents a grade 5 initiative under the transdisciplinary theme ‘Sharing the planet’ to bring peace and harmony between India and Pakistan. The beauty of the PYP lies in the action component – action that is student-initiated, action that is unexpected, action that shows true learning. During our very first PYP exhibition, the action component was distinct and self-driven. Students worked under the transdisciplinary theme Sharing the planet and one of the groups collaboratively decided to work on ‘Peace and conflict resolution’, a global issue. Believing in the above quote, students started inquiring about conflict. This was a group of 8 boys who were focused and passionate about the topic. The boys brainstormed and formulated the central idea: Resolving conflicts can bring peace in the world. They looked at conflict around them and in their surroundings/locality, conflict in the nation and conflict globally. Besides looking at conflict, they also established a means to come to a peaceful resolution, especially among their friends and family. Their journey after this became quite stimulating, exciting and thought provoking. They started searching for some PYP schools in Pakistan as they believed a PYP school will understand their initiative faster than a state school. They found two schools and drafted emails to invite them for a Skype chat and waited with anticipation for a reply. Finally came a reply from one of the schools and our students initiated and organized the date and time for the chat. During the chat, students spoke about the relationship between the two countries. As the school in Pakistan was completely new to the PYP and had never done the exhibition, these boys helped them understand the process behind the exhibition. They also introduced blogging to the Pakistan students and created a joint blog with them. Although they did not work much on the blog, their efforts in building relationships was praiseworthy. A month later, these boys graduated from the Junior School promising to follow the IB learner profile. Surprisingly, one day I receive an email forward from one of the boys, from the school they had contacted in Pakistan. The teacher had written to him that he was looking for some resources for their unit under the transdisciplinary theme Who we are. Two of the boys worked together, gathered suggested resources and replied back to him. They remained constantly in touch, exchanging emails. Learning is the only thing, the mind never exhausts, never fears and never regrets. 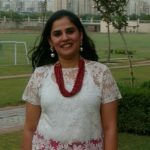 Shailja Jhamb has seventeen years of experience teaching different curriculum, including five years of the PYP. She is the PYP Coordinator and is facilitating grade 5 at Genesis Global School, Noida, India. Shailja is an ardent as well as passionate teacher and facilitator. She loves collaborating, exploring new ideas and implementing innovative interactive teaching methods specially using technology. Praiseworthy. Very inspiring. Great job !! Shalija, this is such a powerful story. Thank you for sharing it. So rarely do we know when or how students might apply their learning. This story hits so many levels: student-initiated inquiry and action, collaboration, responsibility and commitment, and an example of lifelong learning as you mention. It makes me believe even more so in the mission of the IB and international mindedness. I liked the idea of learners using this as their exhibition “Peace and conflict ” to exhibit to other students , teachers and parents how things can be resolved. Good job!